Are you seriously hooked on Bass House? Got tracks in your head you need to get out and share? Keen to learn the same methods used by pro producers like Sheba San, Kyle Watson and Dirtybird Records? Experienced Producer and Sound Designer, Jonny Strinati, takes time out from his demanding schedule to take you through all the techniques you need to lay down a killer bass house track today. 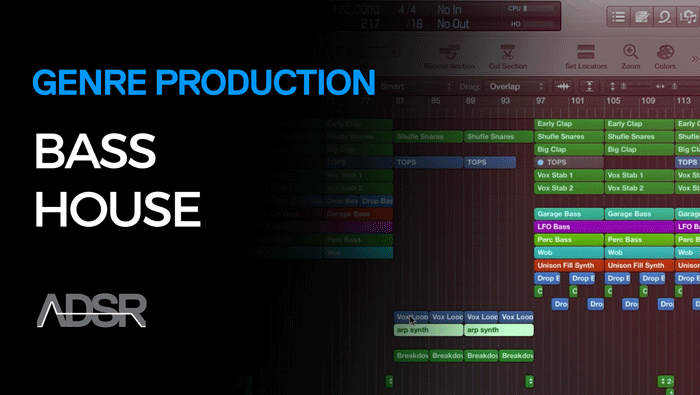 Enhance your music production and sound design skills as you learn how to put together a Bass House Track from the ground up. From auditioning and processing samples to creating original sounds from scratch; laying down a bass hook to working on a full arrangement, mix down and rough master. Skip hours of trial and error and jump straight on the inside track to making your own track with the help of 14 custom-made videos, each showcasing a specific element of the production process. Skip hours of trial and error and jump straight on the inside track to seeing your music in the charts! In Module 1 you’ll learn how to put together a tidy drum loop, create bass sounds, synth sounds, arpeggiated sounds, pad sounds, work on your vocal chops and more. All the fundamental elements that go into a Bass House track laid bare. Get your hands dirty in module 2 as you work on everything from the arrangement to the rough master. These videos show you how to bring all the basics pieces together to create your own fresh sounding track. Start making the music you want today! Bass House is a genre influenced by dubstep and garage but with an attitude all its own. 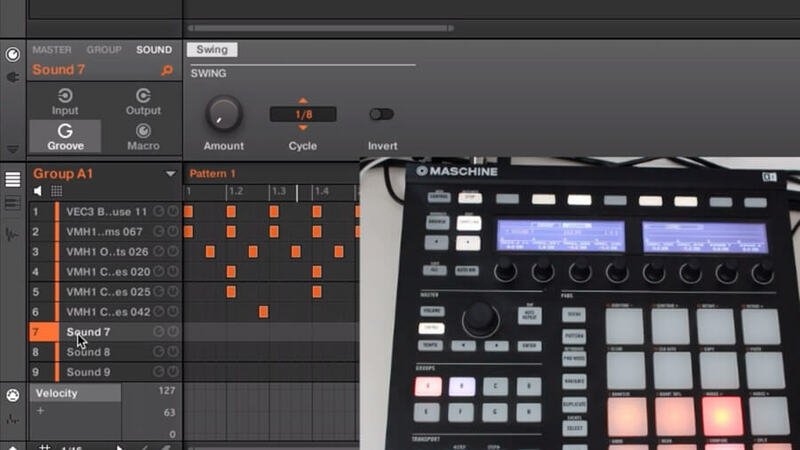 Taking cues from artists like Sheba San, Kyle Watson, Ardalan, Justin Martin and others who are smashing it on the charts, this 2+ hours video course walks you through how to create your own track using popular software including Logic Pro, NI Maschine, NI Massive and Sylenth. Included in the course materials are the logic session, MIDI files and synth patches so you can study all the settings and sounds as we go along. 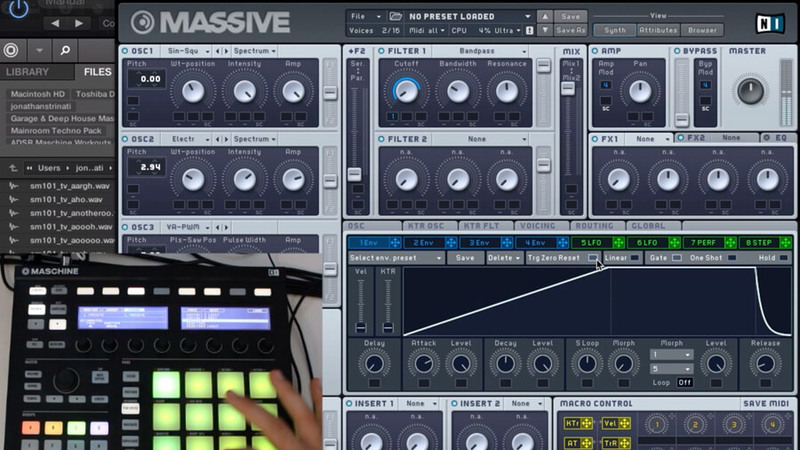 14 videos – Over 2 hours of expert tuition show you how to build a bass house track from scratch. With his informative and approachable manner, experienced British producer, Jonny Strinati, takes the confusion out of complex concepts. Drawing on years of experience as both producer and tutor he’s able to explain using appropriate examples and insights that give you both a genuine understanding of mixing and actionable production skills. Professional instruction from a working producer. It’s like having your own private tutor! Watch. Listen. Learn. Everything You Need To Start Making Professional Music!